A commemorative stamp depicting a uranium mine for nuclear power. It was issued on 18 October 1962 and has a face value of 8 francs. 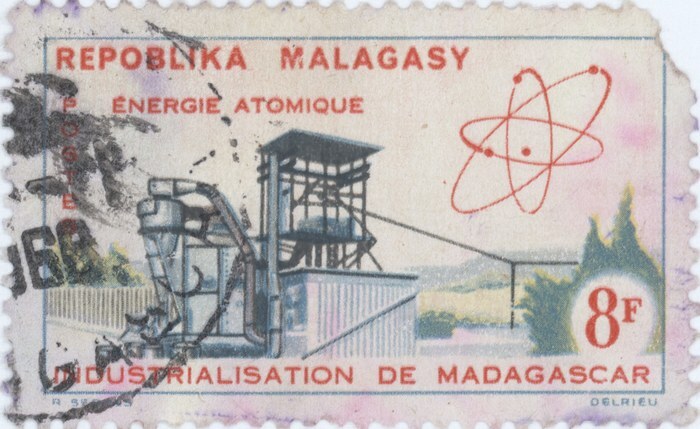 The stamp is cancelled with a postmark that is dated 1968.